Having enjoyed a career in counselling for 35 years and a love of writing, I have now put these two activities together to write about counselling. In my first book, Finding Love in the Looking Glass: A Book of Counselling Case Stories, published by Karnac in April, 2014, I create very real but fictitious characters that find themselves in great difficulty and decide to seek counselling. These case stories contain the dynamic dialogue of their counselling process as it unfolds. These clients show how we can successfully overcome outdated survival patterns and make effective new choices that work for us. My aim is to show just how effective counselling can be. The topics covered in this first book of case stories are: Anorexia; Depression; Relationship Breakdown especially as related to issues about boarding school education and cultural differences; Cocaine Addiction and Surviving Childhood Sexual Abuse, (more information in the link to Karnac Books). I’m a Senior Accredited Counsellor with the British Association for Counselling and Psychotherapy. I spent most of my counselling career, until April 2011 working with staff and students at the University of Kent. I supervised and mentored counsellors on placements and had responsibility for the management of the Counselling Service there. My other experiences include working with Relate, a women’s refuge, the prison service and with various employment counselling services in private practice. 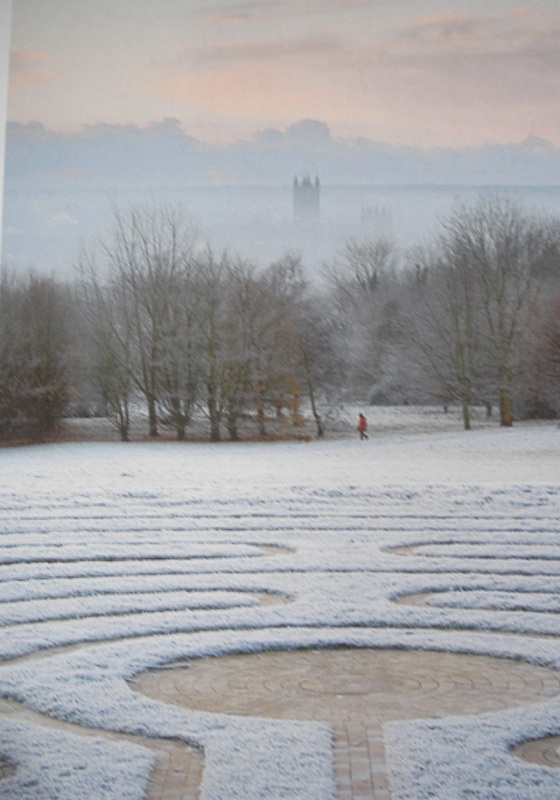 Several years ago, I trained as a Veriditas Labyrinth Facilitator with Lauren Artress at Chartres Cathedral and collaborated with the staff at the University of Kent who instigated the building of the Canterbury Labyrinth, pictured above. I have encouraged a number of counselling clients to use this and there is an article under Labyrinths that explains the benefits of walking a labyrinth. Most recently, I have joined a Well-being Writers Network in Canterbury and Save As, a Canterbury based writing group. Since my education included rather more male role models than was helpful for me as a young woman, I pursued an M.A. in Women’s Studies as a mature student. This balanced out my education and enabled me to research and write about things that interested me: oppression, sexuality, mothering, the philosophy of learning and psychoanalysis from a female perspective. My dissertation was about Rudolf Steiner Education, which I believe is a truly humanistic education with a curriculum based on the developmental stages of childhood. It encourages children to become the best they can be as an individual balanced with a healthy respect for their peers (a future blog!). I am actively engaged in creative and counselling writing and want to honour and pass on what I’ve been taught by the many teachers I have both worked with and lived with. As this is an author blog, I want to list some books that I would recommend.